Today, I wanted to give a quick look at the two latest sandalwood oils from Feel Oud, Bengal Sandal Aira and Sandal 100K Hybrid. I know a number of you have either sampled or blind-bought one of the oils, so I’ll provide a comparison between the two. To me, they’re different in vibe and aroma nuances during their first four hours, but they eventually move closer and become more similar on my skin. Both, however, take a rather airy approach to sandalwood. Feel Oud Bengal Sandal Aira. Source: Feel Oud website. This pure sandalwood oil came to life as a result of us trying to capture some of the most delicate, gentle and airy notes that raw sandal has to offer. Since sandalwood is an extremely hard material, it’s frequently placed in water to soak for at least 3 days prior to distillation. This slightly softens the wood, helping it to release more oil. It’s often possible to increase the creamy aspects of the sandal even further by soaking it for longer. This also results a heavier aroma. In the case of Bengal Sandal Aira, we avoided any treatment of the sandalwood prior to distillation. We distilled matured wood from the heart of trees that were 20 to 50 years of age, completely untouched. This gave us an oil that is closely related to the actual scent of gently heated fine sandalwood chips. No burned notes. No false creaminess. Only sublime, ultra airy and gentle woody notes. There is a gentle, moderate creaminess and butteriness that comes from the actual raw materials, rather than from its pre-distillation treatment and soaking. 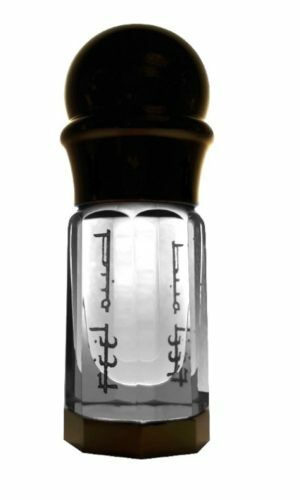 As a result we got an oil that is hard to beat in terms of its airy, gentle character as well as its super affordable price. Bengal Sandal Aira opens on my skin with sandalwood that is creamy, softly spiced, and lightly smoky. It’s a colour palette that skews gold in visuals, just like the colour of its liquid, but also brown with a touch of green. Tiny rivulets of resinous darkness run through the wood’s foundation, adding a lovely sense of depth and body to the aroma. That said, Bengal Sandal Aira does not have a heavy bouquet; it’s simply not quite as airy and dainty as the scent description had led me to anticipate. The scent nuances wax and wane, rippling one way for a short while, then another. For example, the initial touch of greenness fades after a few minutes, overshadowed by soft waves of spice and smoke, although a certain creamy quality remains. Then, roughly 20-25 minutes in, the balance of notes veers back again and the scent turns milkier and greener. While the spice, smoke, and resinous nuances remain, they are merely gossamer-thin filaments that smudge the edges. For the next 2.5 hours, Bengal Sandal Aira fluctuates in its auxiliary nuances on my skin. It continuously veers between: first, a spiced, lightly smoked, fractionally resinous sandalwood underset with cream; and, second, a milkier and green sandalwood with only microscopic flecks of spice, smoke, and resins subsumed within. The weight and body of the scent fluctuate accordingly. The milky green sandalwood version is airier than the spicier one, although I must emphasize again that I personally don’t find either version to be heavy, rich, or robust by my personal standards. Bengal Sandal Aira changes course at midway during the 4th hour. In essence, it turns into an unexpectedly fresh, clean sandalwood that is green in hue and etched with thin veins of smokiness. The oil remains that way until it finally dies away, roughly 12 hours from the start when I used a single drop of oil. Feel Oud Sandal 100K Hybrid. Source: Feel Oud website. Scent profile: outwardly, perfumy, airy, sweet, creamy, buttery, woody with unparalleled depth. Unlike the prior Sandal 100 K, we sought this time to maximise the accessory notes on purpose. Accessory notes are the additional notes to the scent profile that come as a result of different distillation techniques as well as the different mothods of treating the raw materials even prior to distillation. We applied our signature hybrid soaking (portions of wood were soaked different amount of time and then combined) of the raw material as well as the use of hybrid (stainless steel/copper/pyrex glass) still for cooking this oil. By doing, that we not only multiplied all the notes already present in this amazing batch of sandalwood, but also increasing its strength and tailored its character the way we desire. As a result of these different methods, the inherent touch of creaminess within the wood turned a deep, full-bodied note that exemplifies the very best of heavily aged Mysore sandalwood. Its innate creamy and buttery facets transformed into a rich, spicy, almost alive, and slightly sour orris butter aroma. The light woody base also changed, turning heady and super smooth, surprising one with its intensity, projection, and lasting power. My experience with Sandal 100K Hybrid was quite different than what is described. If I had to sum it up in a single sentence, I would describe the aroma as a clean, fresh, vaporous sandalwood with a smokier, woodier profile than the Bengal, not a “spicy” or “rich” bouquet (although it is stronger in sillage and potency), and bearing undercurrents of leather, birch tar, and campfire smoke within. Sandal 100K Hybrid opens on my skin as airy perfumed wood that is heavily infused with an almost leathery woody smoke. It feels like a mix of singed sandalwood, charred birch, and birch tar. Swirling in the background are thin curlicues of spice, green buttercream, dark wood resin, and even something faintly earth. It’s a bouquet that is paradoxically diaphanous and diffuse in weight and body, while simultaneously being dark, smoky, slightly chewy, and oddly fresh-clean in aroma. The wood itself is just as paradoxical: it feels oddly virginal, white and, yet, also stained black with smoke residue. If the Bengal Sandal is a spicy and green-golden in its opening, this one is smoky and clean, its whiteness juxtaposed with a surprisingly leathery quality below. It’s not at all my sort of sandalwood but, wearing the 100K Hybrid in those early moments, I kept thinking how great it would be as a layering base under a floral leather, a floral oriental, a patchouli, or a vetiver scent. Like the Bengal Sandal Aira, the 100K Hybrid shifts in its nuances quite quickly. After 15 minutes, it takes on a perfumed milkiness and its undertones are slowly taking on a green hue instead of a purely leathery, smoky one. Gradually, minute by minute, the 100K Hybrid turns into a green-hued buttermilk fragrance, licked by smokiness at its edges, but it’s quite different from the Bengal Sandal due to the diverging auxiliary or micro notes. The most significant in the case of the 100K Hybrid is the growing wave of freshness and cleanness that slowly begins to seep over the wood. That wave envelops the sandalwood roughly 30 minutes in, and the result makes the 100K Hybrid smell predominantly of clean wood shavings. It simply happens that the shavings were peeled off from a larger chunk of wood which had been suffused with campfire smoke and smoky birch leather. That smoke remains at the edges or the borders of the wood, but it’s thin and minor, never detracting from the primary aroma of cleanly shaved sandalwood. 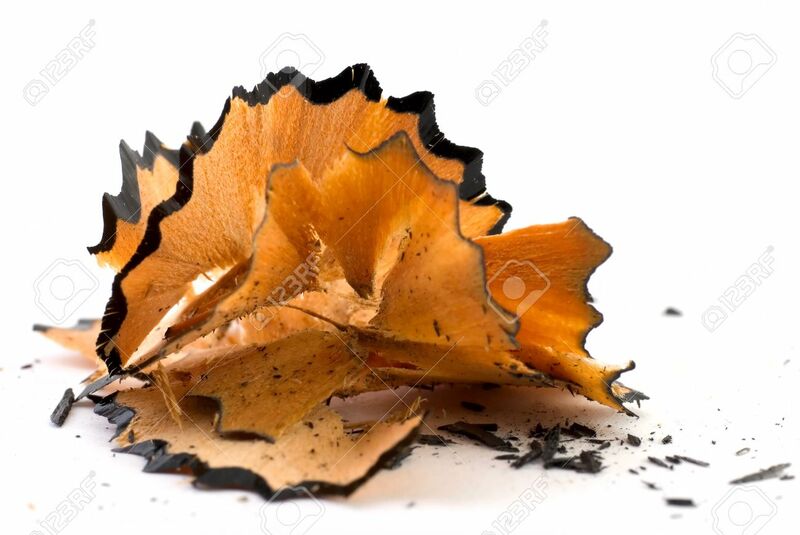 The best way to explain it is to imagine a pencil being sharpened and the curls of wood that are left behind, trimmed in a brightly coloured paint. In this case, the wood is a clean white, edged in wood smoke, bearing an unexpected rooty fresh aroma as well as a sliver of leatheriness. In both cases, however, the driving force is really the scent of pristine, virginal wood itself, peeled into translucent thin, airy curls. Sandal 100K Hybrid doesn’t change in any significant way beyond this point. During the second hour, there are unexpected and somewhat ghostly wisps of turpentine lurking under the cleanness and even a bit of camphor. Neither one lasts for long. During the third hour, the wood turns even cleaner. Russian Adam wrote in the description about a “slightly sour orris butter aroma,” and that might be one way of putting it. For me, what came to mind instead were fresh, rooty, clean sandalwood shavings, licked by smoke at the edges, then dunked in green and slightly sour buttermilk. The 100K Hybrid remains that way without change until its end, lasting just a bit under 14th hour with one large drop. The two oils have some overlap in their aromas, particularly during their finish, but they smell quite different in their first three to four hours. The Bengal is creamier in texture, fractionally lighter in weight, significantly less smoky, and much less green in colour visuals. Until its drydown begins in the 4th hour, I wouldn’t say it had any fresh or clean tonalities, and certainly no rooty ones. If anything dominates its opening phase, it would be the spiciness, although I have to emphasize that it’s only a light delicate touch and that it fluctuates in its prominence, taking turns with the green buttermilk. In addition, while it’s an airy take on sandalwood by my standards or personal tastes, it doesn’t feel quite so airy and diffuse as the 100K Hybrid. On the other hand, the Bengal is softer in projection and sillage, feels fractionally quieter on my skin in its performance, and not as long lasting as the 100K Hybrid. If the Bengal has spice, gold, and green creaminess in its opening, the 100K Hybrid juxtaposes light and dark with its unusual dichotomy of freshness, cleanness, virginal rootiness, green milky buttercream, smokiness, and leather. It’s completely different in vibe than the Bengal. The two fragrances align more closely during their drydowns but, even then, there are differences, even if they’re sometimes only differences of degree. 100K Hybrid is smokier, significantly cleaner, rooty, and with that slightly sour buttermilk nuance. There is a complete purity to the wood, as though it had been filtered to remove everything but the traces of smoke and its root origins. The Bengal, in contrast, simply feels like green creaminess flecked by tendrils of smoke and with only a tiny aura of freshness. By and large, it’s a simpler drydown with fewer auxiliary or ancillary nuances. Which one you prefer will depend entirely on your personal taste, note, and style preferences. It’s a completely subjective matter. For me, personally, both fragrances were too delicate, green, and airy, even if the Bengal had, comparatively speaking, a richer body and weight than the 100K Hybrid. But, out of the two, I preferred the Bengal by a mile. At least it had some of the spicy qualities that I expect, demand, or require in sandalwood for my own personal use. The Hybrid was simply too intensely purified and refined for my tastes. Honestly, there were brief moments when it felt as though I were wearing clean wood of almost an abstract nature, with only the buttercream aspect signifying “sandalwood” as opposed to some other type of smoky wood like, say, cedar. I think I simply have a very different interpretation of the aromas that I associate with sandalwood, and, for me, personally, this really isn’t it. It’s too, too purified. So heavily refined that, to me, it doesn’t come across as the Mysore sandalwood that I fell in love with in the 1970s. It’s also one of the most gossamer thin, light, diaphanous sandalwood oils I think I’ve tried in a long, long time. What’s unexpected, though, is that this diffuse bouquet is quite potent and strong up close, and it also has a far greater sillage than the Bengal. Using only one drop of each, the Bengal opened with about 1 to 1.5 inches of projection and perhaps 2 to 2.5 inches of scent trail. The scent turned discreet after 75 minutes, and the projection hovered just above the skin. It was a skin scent after 4 hours and lasted about 12 hours in total. The 100K Hybrid opened with 1.5 to 2 inches of projection, but the scent trail was roughly 3 to 3.5 inches, perhaps a bit bigger in the early hours when I moved around a lot, and it remained that way for almost 4.25 hours. 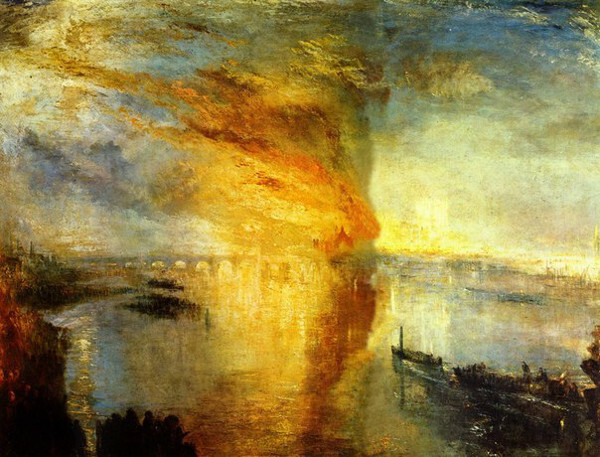 The oil became a skin scent around the end of the 6th hour, and lasted just under 12 hours. For most of the first 6 hours, the 100K Hybrid was strong in aroma up close, even if it felt gauzy and diaphanous in body and weight. It’s a very contradictory bouquet on a number of levels. I think quite a few people will enjoy the mix of airiness and strength, cleanness, and purity, both by itself and as a layering oil beneath fragrances, but I think others may find this to be too delicate and pristine. That was the case for one of my readers, Jorn, who met Russian Adam in Bangkok, tried a number of his oils, including both sandalwoods, and bought the Bengal Sandal Aira instead of the 100K Hybrid. He preferred it because he found it was more “rustic” in its style or vibe. I can see what he means. Something about the Bengal speaks more to the tree’s richer, spicier heartwood. I know that distillation methods rule supreme in dictating how an oil will smell and what nuances are amplified, but something about the Hybrid 100K carries the aura of the roots which were used to make it in the same way that iris fragrances can convey similar fresh, clean, rooty tonalities. Russian Adam has chosen a distillation method to amplify the sense of purity and crystalline cleanness while also tossing in the completely opposite nuances of smoke, leather, birch, and charred woods. I think it going to be perfect for someone who enjoys clean, pure, but smoky, singed woods, but I don’t think it’s going to hit the spot for someone who is a vintage Mysore snob and loves the 1960s/1970s style of intensely spicy, resinous, practically ambered, red-skewing creamy sandalwood with nary a hint of greenness or milkiness in sight. Just when I had given up on ever finding something like that again, I encountered it in an aged Ensar Oud sandalwood oil, Sandal Sultan, that was love from the very first sniff and blew my socks off to Mars and back. I’ll write about it in detail in the next two weeks after I cover some new releases and the Areej Le Doré line, but that Sandal Sultan utterly stole my heart, is now my Holy Grail of sandalwood and, I’d venture to say, is probably better than anything I ever tried in the 1970s. Be that as it may, it’s unfair to compare such completely different style of fragrances, especially when, at the end of the day, it all comes down to subjective tastes and what one wants in one’s sandalwood. 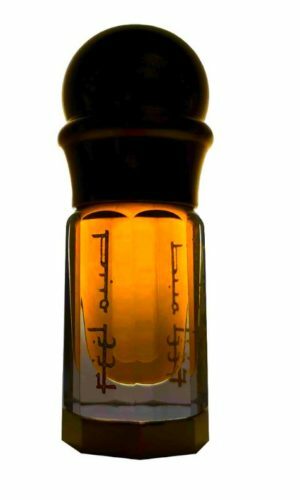 There is unquestionable quality in both Feel Oud oils, and I also thought both had appealing parts, but it really comes down to the style, vibe, and bouquet that brings each person to their knees. I’ve spoken to Russian Adam quite a bit about issues of refinement, airiness, delicacy, purity, heft, darkness, and aroma nuances, both in the context of oud and sandalwood. He says that there are two camps or points of view. 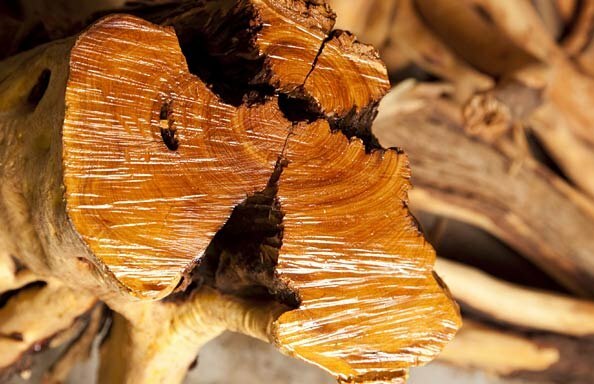 In the case of agarwood, one group believes that it should smell as dark, heavy, and resinous as possible; the other group believes that those aromas are a distiller’s trick and not the real aroma of oud at all, and that the best oud is airy, perfumed, delicate, and pure. He says it’s the same thing with sandalwood, although he personally sees the beauty in both styles. I understand his perspective, even if I take a less objective, more subjective approach towards the things that move me. We all do. It’s the same thing with fragrances, after all. Some people prefer Jean-Claude Ellena’s sheer-as-air, minimalistic and wholly modern impressionistic abstractions (shudder) for Hermes, while others prefer the gloriously divaesque dramatics and weight of vintage Shalimar extrait that’s as old, chewy, dark, and concentrated as possible. (No guesses which camp I fall into.) In the case of sandalwood, I clearly prefer the very spicy, aged, vintage-style, heavy, creamy but practically ambered, resinous sort, while someone else may well prefer a more modern airy, clean, green-hued, fresh-smelling sandalwood. Isn’t that why Le Labo Sandal 33 is so popular, after all? I think it’s an utter travesty of “sandalwood” (not to mention fake as hell and with cucumber to boot! ), but its appeal to others lies in its milky freshness and cleanness. So, if you’ve ever sought a woodier, smoky version of Sandal 33, only this time with actual, genuine sandalwood in lieu of cucumber water, then the 100K Hybrid should be right up your alley. If you’re looking for some “rustic” spice and cream with your freshness, then opt for the Bengal instead. Both oils are quite reasonable for genuine sandalwood, but there are differences here too. The Bengal Sandal Aira costs $45 for a 2.5 gram bottle and $130 for a 10 gram bottle. Stock is not limited at this point. In contrast, however, there are only 2 bottles left of the Sandal 100K Hybrid at the time of this post, and it only comes in one size. It’s $120 for a 2.5 gram bottle. For all that I’m a sandalwood snob with a very particular sort of personal taste, the bottom line is that both sandals are extremely smooth, high-quality oils that are leagues above in both caliber and authenticity from the swill that masquerades as “sandalwood” in modern niche perfumery. I would gladly and eagerly take either Feel Oud oil over the unmitigated horrors of Javanol any day. Out of the two here, the Bengal is my favourite and its low price for genuine sandalwood is quite astonishing to me in this day and age, especially as compared to what niche brands charge for their alleged “sandalwood” concoctions. (Look at Le Labo’s prices for its cucumber wood, and don’t get me started on the Javanol Chernobyl that is Tom Ford’s Santal Blush.) But the 100K Hybrid has its appealing parts as well and it’s relatively reasonable for real sandal, especially as only a drop or two is needed. Which one suits your particular tastes will depend on you, but both are nicely done. Disclosure: My samples were provided courtesy of Feel Oud. That did not impact this review. I do not do paid reviews, and my opinions are my own. This entry was posted in Areej Le Doré & Feel Oud, Perfume Review, Woody Fragrances and tagged 100K Hybrid sandal review, Bengal Sandal review, Feel Oud Bengal Sandal Aira, Feel Oud Sandal, Feel Oud Sandal 100K Hyrbid, Feel Oud sandalwood oils, Feel Oud sandalwood reviews, Mysore Sandalwood, Mysore sandalwood oils, Russian Adam Sandalwood, sandalwood oil reviews, Santalum Album fragrances by Kafkaesque. Bookmark the permalink. Sad, Siberian Musk just recently sold out. Russian Adam did send me a little of it when I purchased a sample of Ottoman Empire , and yes Kafkaesque , blind bought Hybrid 100k . BTW, there’s only one left. I will say I was completely impressed with the presentation of it when I received it. Very nicely done. How does H100k smell to me, well, I am probably not even going to open it. Sounds silly I know. I like the smell of wood Kafkaesque. My step father was a carpenter .He was also a avid sportsman . He used to carve his own decoys. He was also a conservationist . His motto was never over fish one area , and if you can, always replace in another when possible. Only take what you’ll eat was another. So I have very fond memories of him along with my brother and I helping him with his carvings . The smell of whittled wood will always be in our laps. So pristine wood is fine by me, but, I also ordered the $149 Santal Set from Ensar and I am very excited about the 1970’s Mysore . Tam Dao Eau de Parfum. That’s my go to base for the smell of wood. If you haven’t smelled it…give it a try! Yes and it’s enjoyable . The sandalwood is very upfront on me in the beginning . Then it starts to settle in and starts to sit in the back seat on me after some time. Lorenzo Villoresi’s works in the same manner on me. Lorenzo’s is huge on me in the opening, a little rough , the it settles in. I have BPC’s Sandalwood. It’s a little closer to the whole mysore, but it’s , once again, not very smooth. I got the Santal Kit from Ensar. Graig, you’re going to be very very pleased with your purchase. I’ll be ordering more 70’s encens and granules/burnables. Ensar are very nice people to speak with. OH,BTW, just a little more FYI, Russian Adam is in a remote location distilling more oils for his Areej Le Dore line and sandalwood. He has considering doing 10 ml decants possibly , or something of that nature . We’ll have to wait and see. I did pick up Trat Selvagio from him. I will be getting some trat burnables from him too. Enjoy your purchase Graig. I don’t really know if I am an expert on anything olfactory, I am not a chemist, I am not even sure if this is any better than a fragrance from Swiss Arabian, whose Dehn el ood mubarak I truly like but know is a fake, but I cherish it all the same. So, what I am saying is I don’t know for certain if this companies Oudhs are as organic and thoughtful as Russian Adam, but I’m pretty sure for $52.00 a half tola you won’t be disappointed! P.S. I wish I would have known how precious all those bottles of sandalwood were that I blew through in the 80’s. Well, I think $49 for 3 mls of real ambergris leaves me somewhat skeptical. Please read some of Kafkaesque’s articles regarding ambergris. Also, here is some literary links. Also the deer musk , here’s something. You can legally obtain Siberian Deer Musk . The Siberian Deer Musk produces musk in three locations on it’s body. The Russian Federation , between 2007 and 2008 , noted that 1,629 deer musk grains were sold legally. Here’s something on beaver musk. So real ambergris, deer musk and beaver musk for $29 or $30, leaves me skeptical also. I have tried Swiss Arabian. I sampled Honor Man as well as others from them. Honor Man opens up with a actual Lemon Joy smell . It settles in and is OK. I didn’t detect any of the geranium that Amouage has in it. I bought TF’s TV from Swiss Arabian and that one is a simple pass for me. I also bought Nassomatto’s Black Afgano . It’s is correct in the opening ,but fades to nothing in minutes. Very unhappy with that purchase. I also bought TF’s Amber Absolute. It changes back and forth between pleasant to an actual iodine smell. Not pleased with that one either. I did like their Interlude from Amouage. It did last and it was somewhat similar to it. It doesn’t change from the opening and is flat in character. I like how Amouage’s changes on me each time I wear it. I own all of the originals of the ones I have just mentioned. I am not defending my purchases, for I bought them after I purchased the Swiss Arabian ones. So is there a difference or should we believe that we are just being duped out of are money with higher prices. This is what I have to say to that . Sultan Pasha included a prototype on one of my purchases from him. The prototype is robust, it has depth, and is intoxicating to breathe in. He also had ,I believe, one called Magnificent Rose. I could sense the texture of the petals . Did I ever get that from Swiss Arabian’s ? No. I would like to add that most of the time, I don’t get this barnyard smell. I’ve worked on a farm and actually have shoveled some. I might add though that the whole fermenting hay is possible,but generally I get the cheese vibe along with a type of leather .Sometimes it can be a stinky boot on me. I haven’t been following Kafkaesque for a long time, but one thing is for sure. She’ll tell it like it is. When she suggest something I try to get a sample of it and then reread her article. I’ve learned much from her. I should say that I am not putting down your purchases what so ever. I do realize that my money will be spent, I just want to support those who have the same desires as mine. Sorry for the grammar . You’re very sweet, Eddie. Thank you for the kind words. And I think you did a great job of articulating why some fragrances worked for you while others didn’t, so don’t worry one bit about something like grammar. Thank you Kafka for this honest review! I enjoy these two sandalwood oils very much, but at the same time, I’m puzzled by their airy quality in contrast with the description being spicy and resinous. Thanks for pointing out Sandal Sultan, which I’ll make sure to test in the future. Also looking forward to your reviews of Areej Le Doré perfumes. Alright Dang it, now I’m out almost $400 because of your too tempting description of Ensar Oud’s Santal Sultan. I hope my nose agrees with yours! I’m sure it will. Oh, on a side note, I never could get the Surge Lutens Mysore Santal notes to come together from all of the various attempts at home. But thank you for all your help back then! Glad you’re back at it. Cheers! Oh dear, I always feel guilty when someone spends a lot based on something I’ve said. I really do. There were samples available, but I can understand the temptation for a full bottle and I desperately hope that you will love it as much as I do, Craig. For what it’s worth, another reader who tried all the Ensar Oud sandalwoods said he completely understood why that one turned my head so much and agreed that it really stands out. (He’s torn between buying Sandal Sultan or a muskier Ensar sandalwood.) Fingers crossed, you will be as impressed. Let me know how it turns out on you, okay? I’ve received my little bottle of Bengal Sandal Aira yesterday, and I’m happy to report that it’s very beautiful. I’m not good at describing scents, and as you’ve already done that so beautifully, I wont try. I already own a bottle of wild santalum album oil, and was a little afraid I wouldn’t be able to distinguish much between them, but boy was I wrong! I now understand what’s meant with false creaminess, as this is so much greener. I love the green and milky notes and it has conjured up a beautiful memory. My parents traveled a lot in the late 60s, early 70s and they also spent a few weeks in Thailand. They brought back a beautifully carved wooden hand fan that had it’s own box with a glass lid. As a child I thought it was so beautiful and loved to fan myself with it. It smelled beautiful too, much later on I realised it was sandalwood. This smells just like it, there’s this dry note, dusty and resiny, that just exactly the same. This and the fact that the Bengal Sandal Aira comes from a region in Bangladesh I know and love so much, makes it really special to me. Thank you so much for this series Kafka! Thank you *so* much for coming back to let me know how you fared and what you thought of the oil. I’m delighted to hear it was such a success, particularly in terms of the memories and emotional impact of the bouquet. I’m truly delighted. As for your old wooden, carved sandalwood fan and box, it sounds beautiful. I’ve seen photos of old 1960s and 1970s antique, glass covered sandalwood “memento boxes,” and I’ve seen photos of sandalwood fans, but the two together… what a meaningful, special gift. Thank you for sharing that memory with me, my dear.